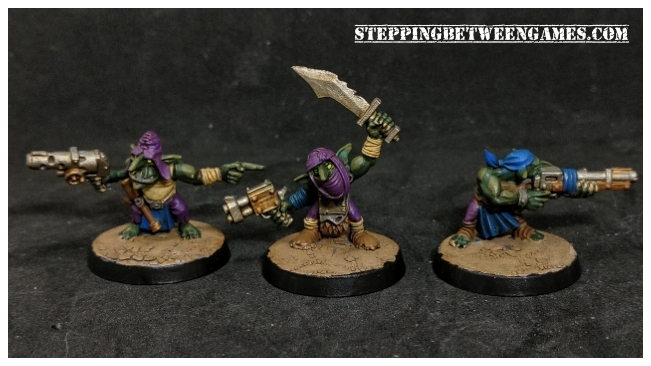 The Grots have been finally finished. 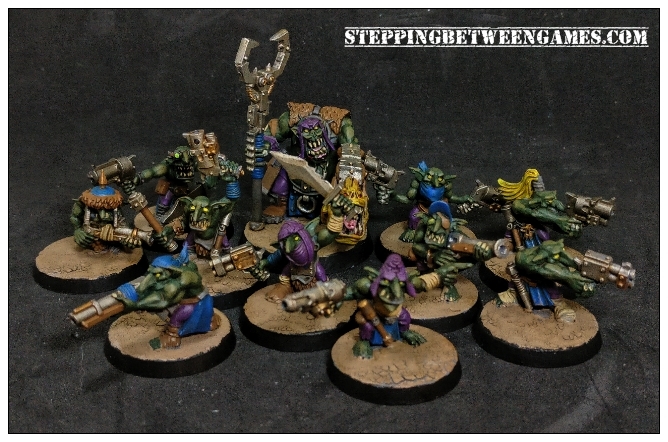 So with my first test batch of Grots complete it was time for me to finish a full squad of them. They are now up to a full ten and a Runtherd to guide them. Not exactly an exciting unit to be sure but it gives my Orks something to build on. These were built and painted much like the first set, keeping the purple of the army so far and the blue of the Deathskull Klan . Keeping things nice and colourful in the world of the Grim Dark Warhammer 40K. Sticking with the yellow eyes that I have used throughout the army so far. Seems to fit better than the more standard red. 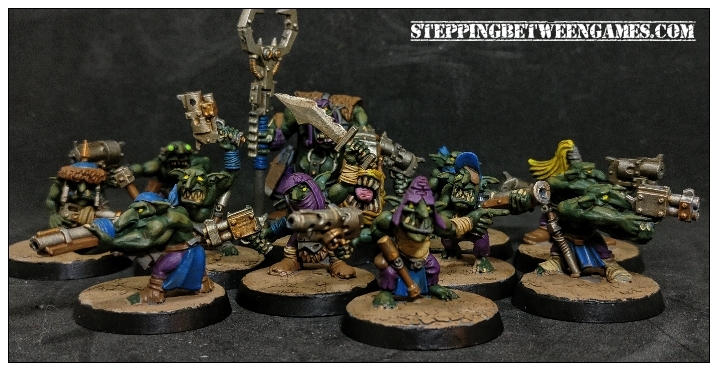 I just love the poses and character in these models, a detail that seems to be lost in the more basic Ork Boyz , who I really think need a new sculpt. The strange crab walking crouch has not aged well at all. I am tempted to add some brush to the bases to break them up a little. 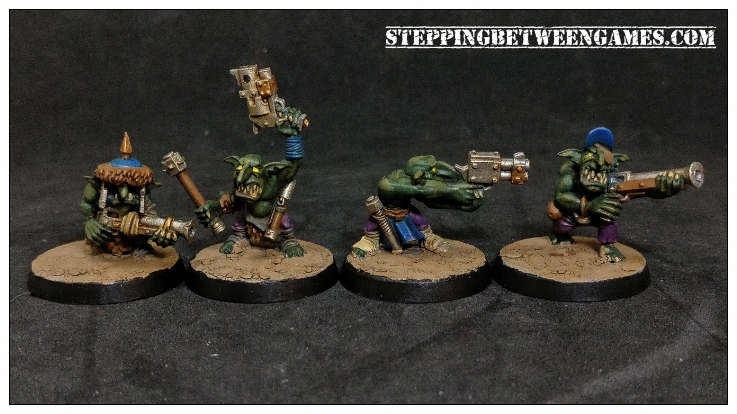 So there we go with my finished Grots, another few models have been added to my slow grow Ork army.